We mentioned that Penultimate is now offering different background papers for their iPad notebooks for purchase. Many of us jumped right in and are now writing away on our iPads in boxes and along lines. 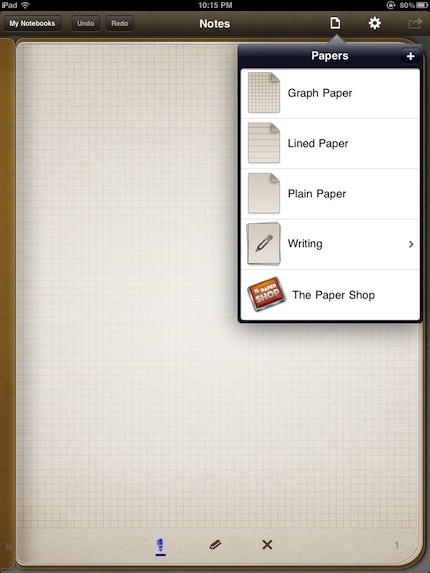 The latest news from the Penultimate is that the lined paper pack is now FREE! Just open one of your notebooks you have in your iPad’s Penultimate app. 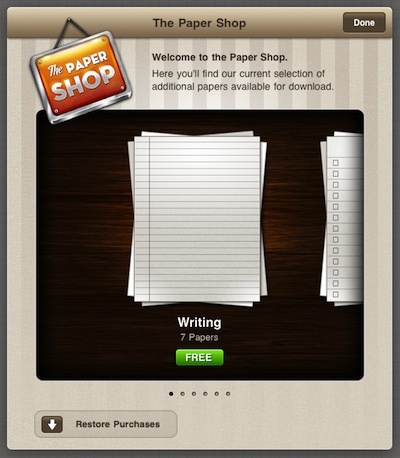 Choose the paper type in the upper right corner and tap the Paper Shop. The resulting pop up is the same as before, offering many bundles of papers. 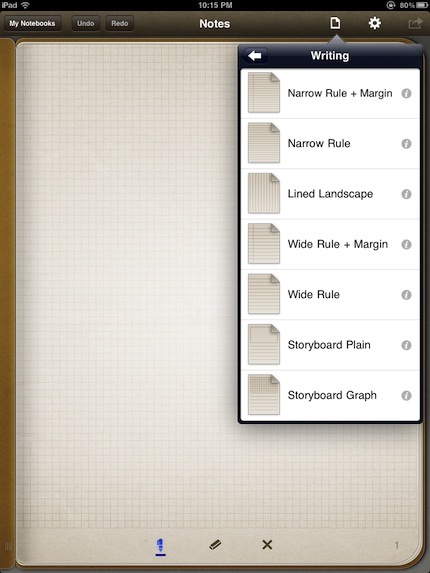 The first one showing containing 7 different writing ‘papers’ now shows ‘free’. Selecting the ‘Free’ button will download the paper to your iPad to use unrestricted. Once any papers are downloaded into your copy of Penultimate, the paper bundle name is added to the Papers pull down. 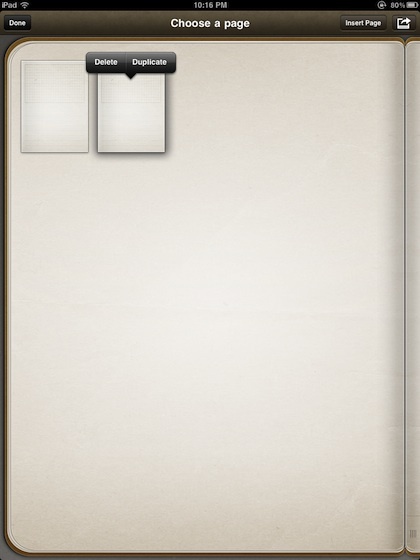 Choosing the paper bundle in the list will change the view to the paper backgrounds in the particular bundle. Choosing any Penultimate paper image in the list will change the page your on to that paper type. Tapping the ‘i’ will expand that paper to a more detailed view. A feature that one of our team just discovered is the ability to get to an overview of the pages in the notebook you have opened. This may be a feature that we just missed before. Down in the lower left corner of every Penultimate notebook page is a couple little lines you normally see when you can move that object around. Just tap and drag to the right of the screen. The notebook page will slide across the screen to the right and you will be presented with a view of the pages in that notebook. Here you can drag pages around to change the order they are in that notebook, as well if you hold when you tap a page Penultimate give you the option to delete or duplicate that page. We really like ‘duplicate’ since many times we have a page drawing that we want to add and still keep a clean original. We are still amazed at how handy Penultimate continues to be for handwriting and drawing on the iPad. The developers have continued to give us a few more much appreciated features without over complicating using it every day.